300 AAC Blackout (300BLK / 7.62x35mm) LVAW (Low-Visibility Assault Weapon) Honey Badger Suppressed Tactical AR (AR-15) SBR (Short Barreled Rifle)/Sub-Carbine Demo Video, and 300 BLK SIG516 (also written SIG 516) Heads-Up | DefenseReview.com (DR): An online tactical technology and military defense technology magazine with particular focus on the latest and greatest tactical firearms news (tactical gun news), tactical gear news and tactical shooting news. A two days ago (Thursday), DefenseReview (DR) received a heads-up from our friend Rob Silvers at AAC (Advanced Armament Corp.) about SIG SAUER offering a 300 AAC Blackout (300BLK / 7.62x35mm)-version SIG516 (also written SIG 516) gas piston/op-rod (push-type operating rod) tactical AR carbine (AR-15 carbine) for the civilian tactical shooting/commercial market sometime in 2012. As it happens, your humble correspondent just visited the SIG SAUER plant in Exeter, NH and test-fired the SIG516 Patrol tactical AR carbine at the SIG SAUER Academy tactical training (tactical shooting) range, but the folks at SIG didn’t mention anything about the 300BLK 516 while I was there. 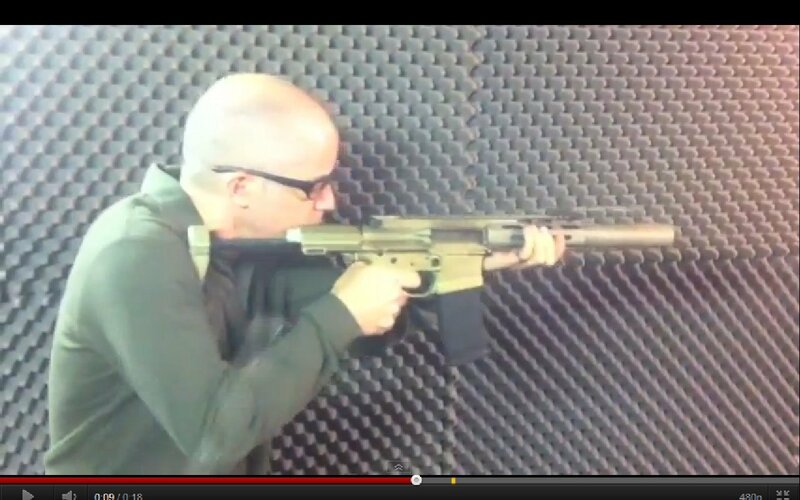 It’s possible that SIG will be displaying it at their booth at SHOT Show 2012 in Las Vegas, but we’re not sure. We just measured the dB level. It is as quiet as an MP5-SD but with much more range, power, penetration, and accuracy. We have never said what kind of suppressor it has as it is competition sensitive. There are others developing 300 BLK military weapons. Click here to read the link to the original 300 AAC Blackout SIG516 heads-up. 300 AAC Blackout (.300BLK) 7.62x35mm Heavy Supersonic/Subsonic Rifle Cartridge for Military Special Operations Applications: Will it Fly?